Emily Sneff is a graduate student in early American history at William & Mary and a Digital Apprentice at the Omohundro Institute of Early American History and Culture. There is an object in the British Museum that was bought from Benjamin Franklin. A small asbestos “purse.” With only these details, the modern mind imagines the elder statesman ambling up to Montague House, the museum’s home in Bloomsbury from 1759, on the same site as the modern museum. Perhaps the most well known American in the world, the Franklin in our imagination gains entry to the museum and marvels at the collections before offering up a curiosity of his own. 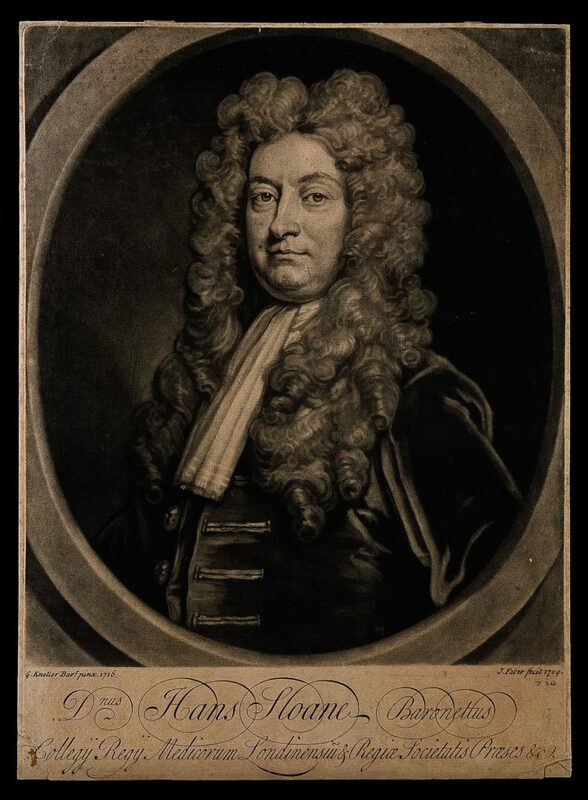 In reality, it was a much younger Franklin who was invited to the home of Sir Hans Sloane in 1725 – almost thirty years before George II gave his Royal Assent to establish a public museum founded in large part on Sloane’s collections. 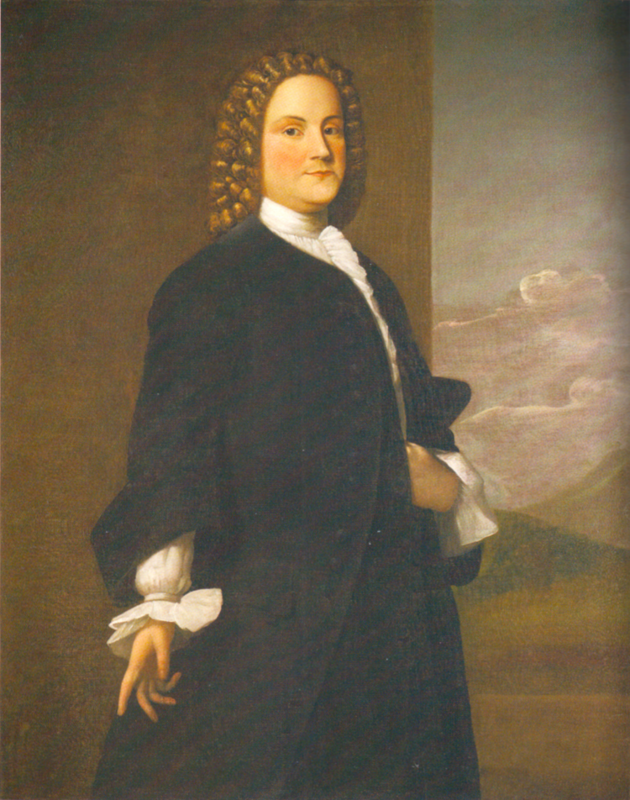 Benjamin Franklin, c. 1746, in a painting by Robert Freke. The nineteen-year-old Franklin was visiting London for the first time, and had brought with him “a few Curiosities,” likely from New England. A note that Franklin sent to Sloane on June 2, 1725 survives, and briefly describes these items, principal among them “a Purse made of the Stone Asbestos.” He knew that Sloane was “noted to be a Lover of Curiosities,” and asked for a quick reply should the collector have any interest in purchasing his small cache. A very quick reply, in fact, as the postscript reads, “I expect to be out of Town in 2 or 3 Days, and therefore beg an immediate Answer.” Since both the letter and the object can be found in the museum’s collections, we can assume that Franklin’s inquiry got Sloane’s attention, and Franklin got paid. Later in life, when he was a “Lover of Curiosities” himself, as well as a respected printer and statesman, Franklin recounted his interaction with Sloane in his autobiography. He claimed that Sloane had “heard of” the asbestos purse, “came to see me, and invited me to his House in Bloomsbury Square, where he show’d me all his Curiosities, and persuaded me to let him add that to the Number, for which he paid me handsomely.” This account reads as an unnecessary exaggeration of Franklin’s renown, even in his youth. But Franklin need not have exaggerated. The simple fact, verified by the extant letter, that a teenager visiting from America wrote directly to Sloane—a sixty-five-year-old physician who had served George I and George II and would succeed Sir Isaac Newton as President of the Royal Society just two years after Franklin’s visit—is astonishing. As one historian points out, even Franklin’s postscript on the letter was audacious, because he stayed in the city for a full year after telling Sloane that he would be leaving in a few days. Today, Franklin’s asbestos purse is part of the Natural History Museum, where many of Sloane’s specimens migrated in the late nineteenth century as the collections of the British Museum outgrew the available space. More recently, the British Library—including Sloane’s correspondence, and the young Franklin’s letter—also moved into its own building, the focal point of which is the tower containing the library of George III, given to the nation by George IV. There are a number of stories that can be told and histories that can be revealed through not just the life, but also the times of Benjamin Franklin. Born in 1706, he was the oldest signer of the Declaration of Independence in 1776, and, eleven years later, the oldest signer of the United States Constitution. He had a truly transatlantic career and was a polymath, knowledgeable about not just printing and statecraft, but a whole range of topics. And, like Sloane and so many others in the Age of Enlightenment, Franklin was interested in the organization and circulation of knowledge, and established the first successful lending library in America in 1731. Liz Covart says that when she set out to produce a podcast about early American history, she wanted to name it for a familiar figure from that era of history. When listeners think of “Ben Franklin’s World,” and the people and historical events explored on the podcast, they think of Vast Early America. Through Ben, modern Americans can make connections across time and space. Take this blog post, for example. I am currently a digital apprentice for the Omohundro Institute, working on web and social media content for Ben Franklin’s World. I am also in the first year of a PhD program in early American history at William & Mary. But, eight years ago, as a medieval history major and museum studies minor at Johns Hopkins, I wrote my senior thesis on Hans Sloane and the founding of the British Museum. That purse of woven asbestos and the letter written by a teenaged founder-to-be, Ben Franklin, speak to me in a particular way, connecting my past work to my present work. Ben Franklin’s “world” also overlaps with the Georgian “world” in significant ways. 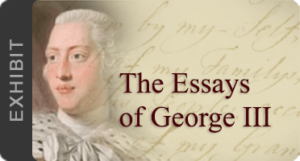 His life spanned from the pre-Georgian era (George I ascended in 1714, when Franklin was aged 8) into the reign of George III. The first seventy years of his life were spent in the British Empire, and, including his visit in early life and his time as a colonial agent later in life, eighteen of those years were spent in London. The only surviving home of Ben Franklin is at 36 Craven Street in London. 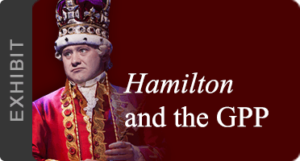 His son, William, was the last Royal Governor of New Jersey, and the last interaction between estranged father and son was a meeting in London in 1785, when Ben, on his way home from France, made one last stop in the city where he had spent so much time and made so many connections. Further exploration of the Georgian Papers Programme will almost certainly bring up the name of Benjamin Franklin. To learn more about Ben Franklin’s World, visit benfranklinsworld.com, or subscribe wherever you get your podcasts. Two episodes from the back catalog of particular relevance here are Episode 086: George Goodwin, Benjamin Franklin in London and Episode 175: Daniel Mark Epstein, House Divided: The Revolution in Ben Franklin’s House. The Omohundro Institute produces Ben Franklin’s World with creator and producer Liz Covart, and is also a primary partner of the Georgian Papers Programme. The OI has funded twenty-three fellows so far, and the deadline for the current round of fellowship applications is March 1.